Designed for drilling 7 7/8" and larger holes. 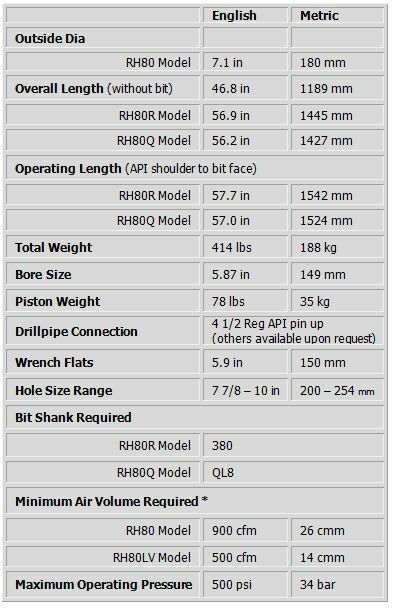 - Also available in Low Volume (LV) Models for lower air consumption. 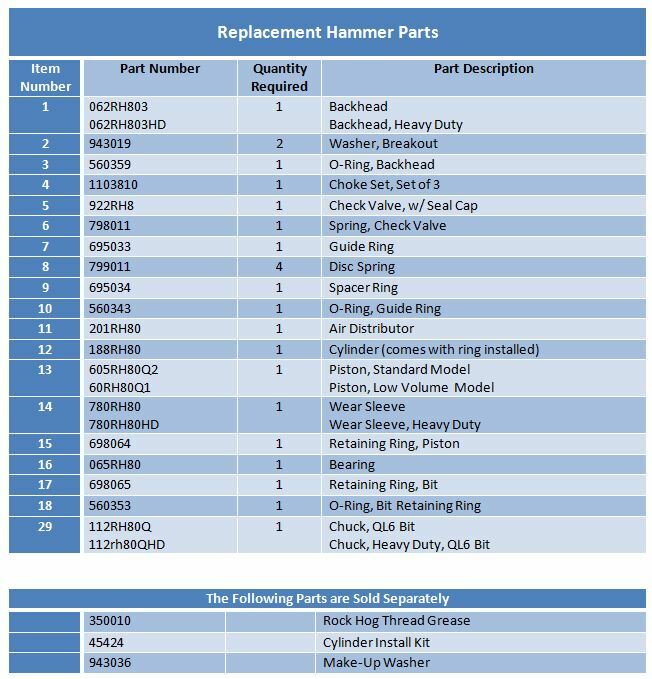 Download RH80Q3HP and/ or RH80R3HP Hammer Manual.